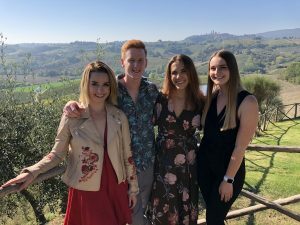 I want to give a little precursor to this post by saying I, in no way, mean that I’m special or an exception to any rule when I talk about my study abroad experience. Although, as someone who struggles with mental illness, I feel like I can provide a different take that can help prepare others for this time. 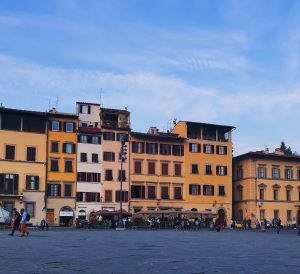 My last blog post was written within my first two weeks of being in Florence, and now I am eleven weeks in and feel like I have grown so much. At that time, I was seriously contemplating going home. I so badly wanted to be back in my comfort zone and be with people who know me. While I’m still missing my comfort zone, I am forever happy with my decision to stay. This experience abroad has been very eye-opening for me. I’ve learned so much about myself throughout this process, and that can be a scary thing. There were times where I didn’t feel comfortable in my skin because I felt like I didn’t know who I was. For example, I love my hometown in Michigan, but I never felt like I was tied to it. I never really missed it, until I didn’t have the ability to go visit and go be with my family there. I have a new appreciation for that place and the spaces I’m comfortable in. At the beginning of this experience, all I wanted to do was be back there and I would think to myself, “when I go home I’m never leaving again.” I’m so glad I fought through that. I’m excited to go home and be in my comfort zone, but it has been so liberating to be outside of it and expanding my knowledge of the world and of myself. 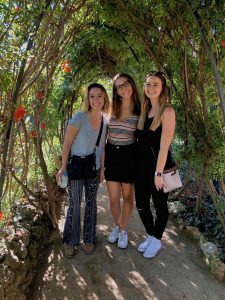 It can be a little scary sometimes because all you really see when it comes to studying abroad is the happy, super colorful pictures people post on social media. It’s scary to feel so alone on your journey, but what I learned here is that everyone is on their own path. Everyone is experiencing something different and that’s such a good thing, so you can’t compare your journey to someone else. 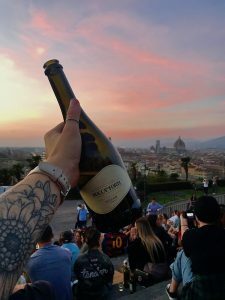 I struggled so much in the beginning because my friends here were posting such beautiful pictures, showing how much fun they’re having, and I felt envious of their experience. Over time, I realized that, first and foremost, social media only shows the positives. So, not only am I not seeing their whole story, but looking at my own Instagram I saw the happy pictures like they were posting too. Secondly, I can’t compare my experience to theirs because we’re completely different people and that means we have different emotions. Studying abroad is your time to explore the world as well as yourself. In the end, this experience is your own and while it can be difficult at times, it’s so rewarding in the end. I’m forever thankful to SAI for being so kind to me during this journey and helping me stay calm, to push myself and to truly enjoy this time. 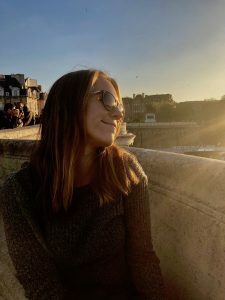 Samantha is a fall 2018 SAI Florence student from Grand Valley State University.